IuteCredit, a loan originator that has been a part of the Mintos family since June 2017, has yet again expanded its presence, this time adding new investment opportunities in Moldova – car loans! You might remember that back in May of last year, the IuteCredit Moldova added personal loans issued in the country. Today, however, the company has also launched car loans issued in Moldova for you to invest in. The newly-added loans to Mintos are in addition to the suite of investment products already available on the marketplace from IuteCredit in Albania, Moldova, Kosovo, and Macedonia. Since launching on the marketplace, EUR 25 million has been invested in IuteCredit loans. 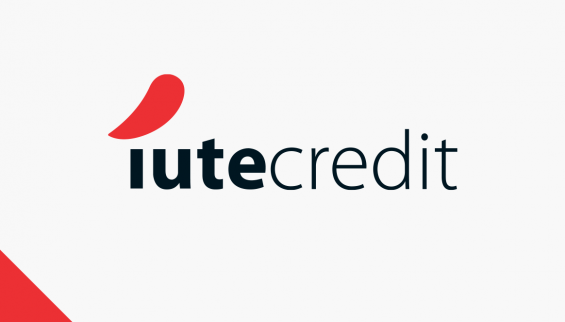 IuteCredit Group commenced its operations in Moldova in 2008. It is currently one of the alternative finance market leaders in the country with a net loan portfolio of EUR 29 million as at the end of January 2019. During 2018, the company issued loans in Moldova worth more than EUR 40 million. The typical borrower for IuteCredit Moldova is between 18 to 68 years old. The average Moldova-issued car loan from IuteCredit Moldova is EUR 4 000 with a maturity of up to 60 months, with a minimum term of 30 days. You can expect net annual returns of up to up to 11%. To align its interests with those of the investors, IuteCredit will retain 10% of each loan placed on Mintos on its balance sheet. All Moldova-issued car loans from IuteCredit will come with a buyback guarantee and IuteCredit Group will undertake the obligations of repurchasing delinquent loans. To obtain exposure to IuteCredit Moldova loans, investors will be able to invest in loans issued by Mintos Finance to IuteCredit Moldova, where repayments depend on the borrower’s payments. Each loan issued by Mintos Finance to IuteCredit Moldova will be pegged to a respective loan issued by IuteCredit Moldova to the final borrower. Mintos Finance is a Mintos group company. A detailed description of the new structure is available in the Mintos Finance loan agreement and assignment agreement. Don’t miss out on the great opportunity to diversify your investment portfolio by adding Moldova-issued car loans from IuteCredit. If using our AutoInvest tool is your favourite way of investing on Mintos and you want to capitalise on this exciting new investment product, then you will need to update your settings accordingly.